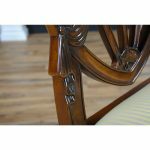 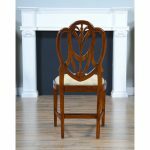 The Solid Mahogany Sweet Heart Side Chair from Niagara Furniture has an elegant and stylish back featuring Drape Carvings as well as interconnected loops crested by a Fleur de Lis design. 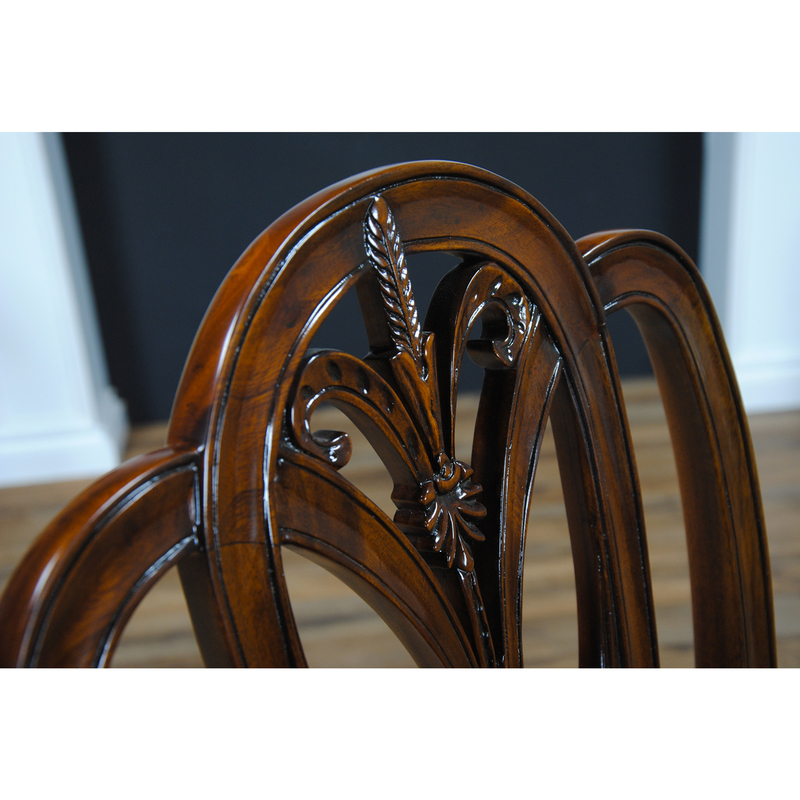 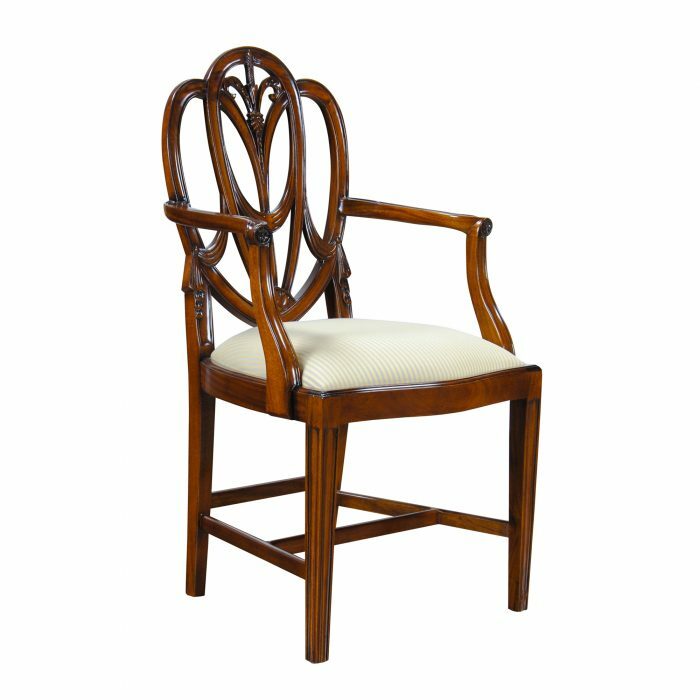 Constructed from solid mahogany our Sweet Heart Side Chair is completely hand carved from plantation grown solid mahogany. 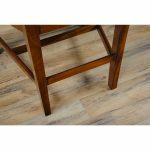 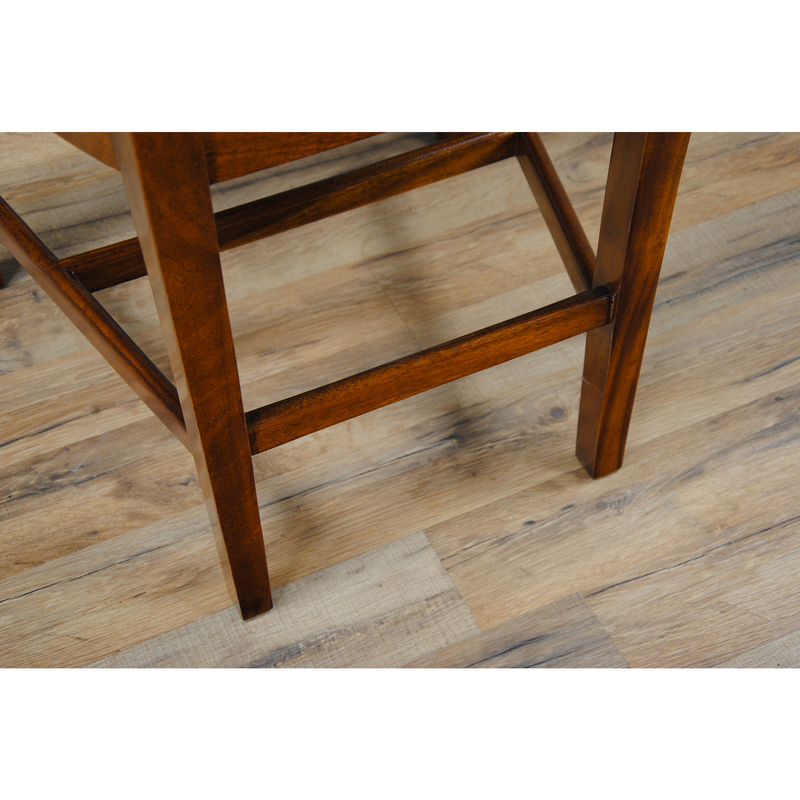 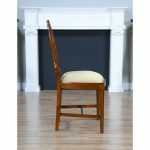 The chair rests on tapered reeded legs on the front which are connected with cross stretchers to the rear legs for extra support and strength. 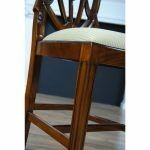 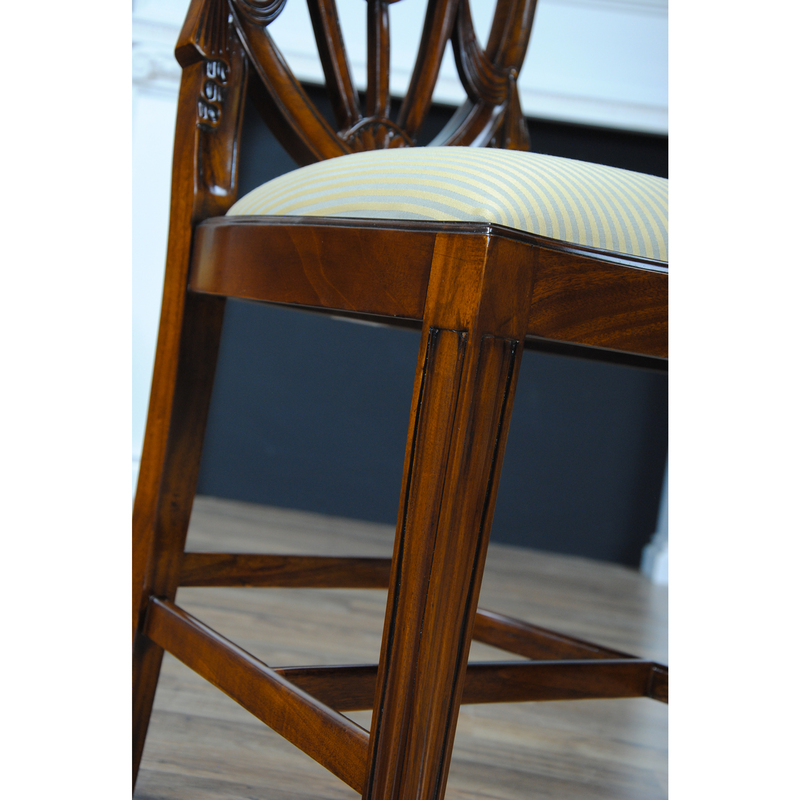 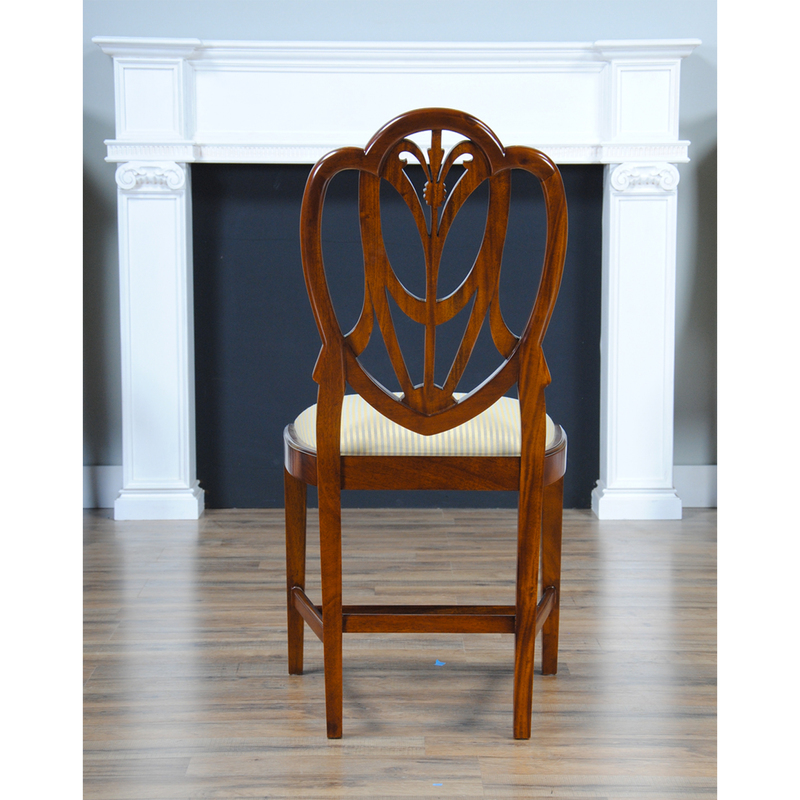 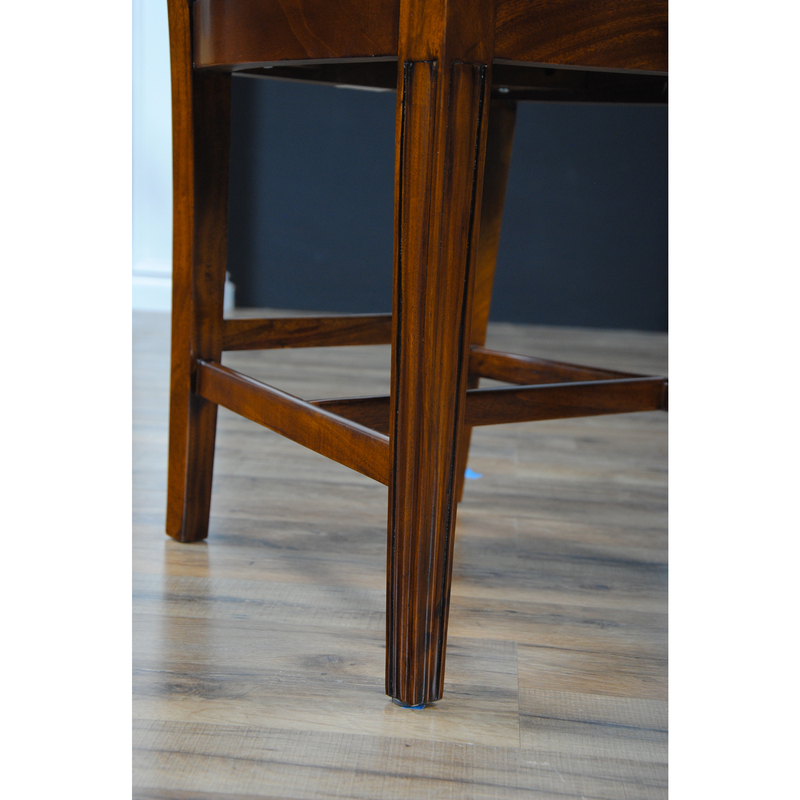 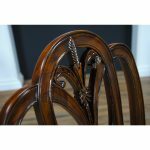 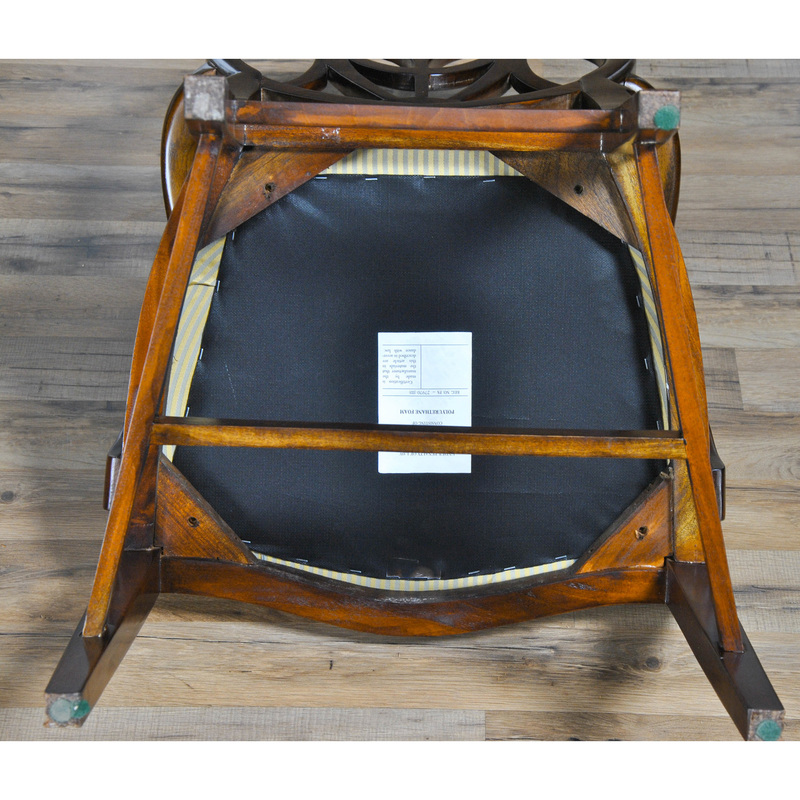 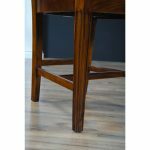 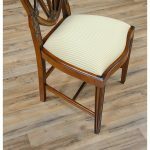 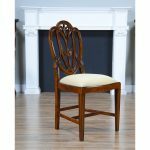 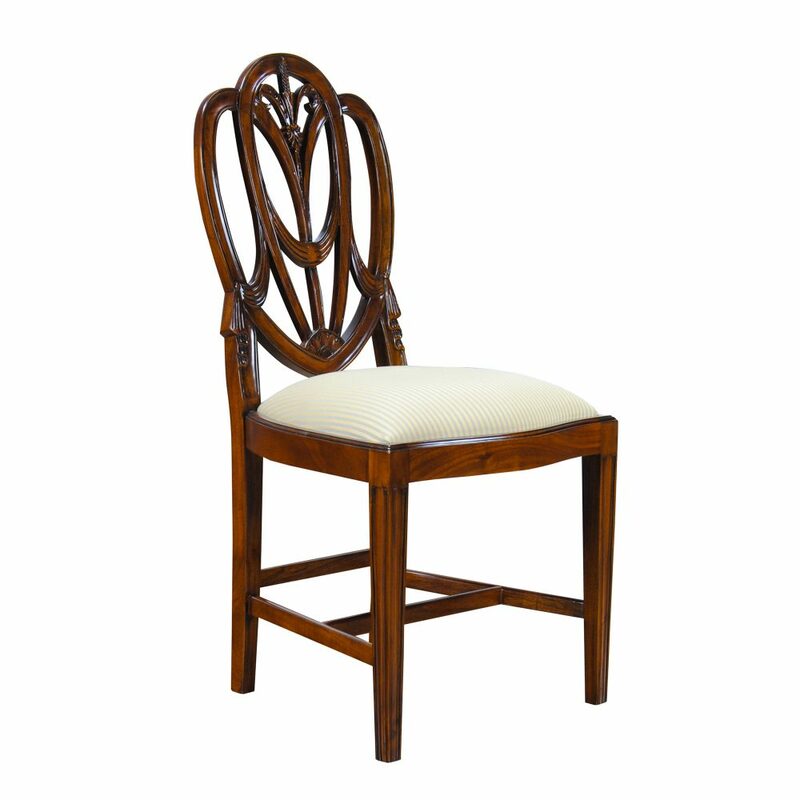 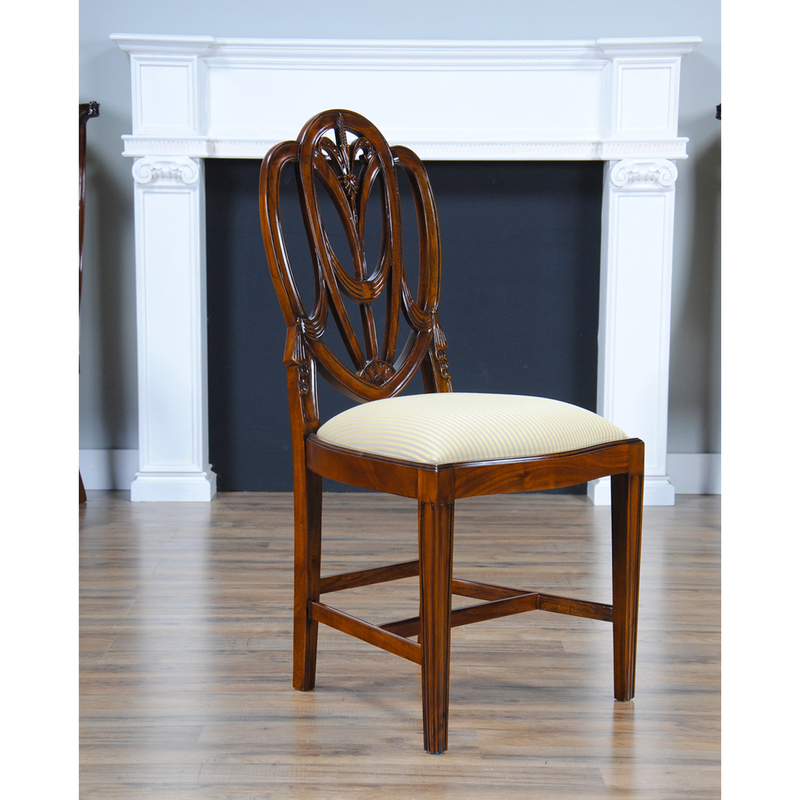 Solid Mahogany Sweet Heart Side Chair drop in seat can be easily recovered as it is held in place with four screws. 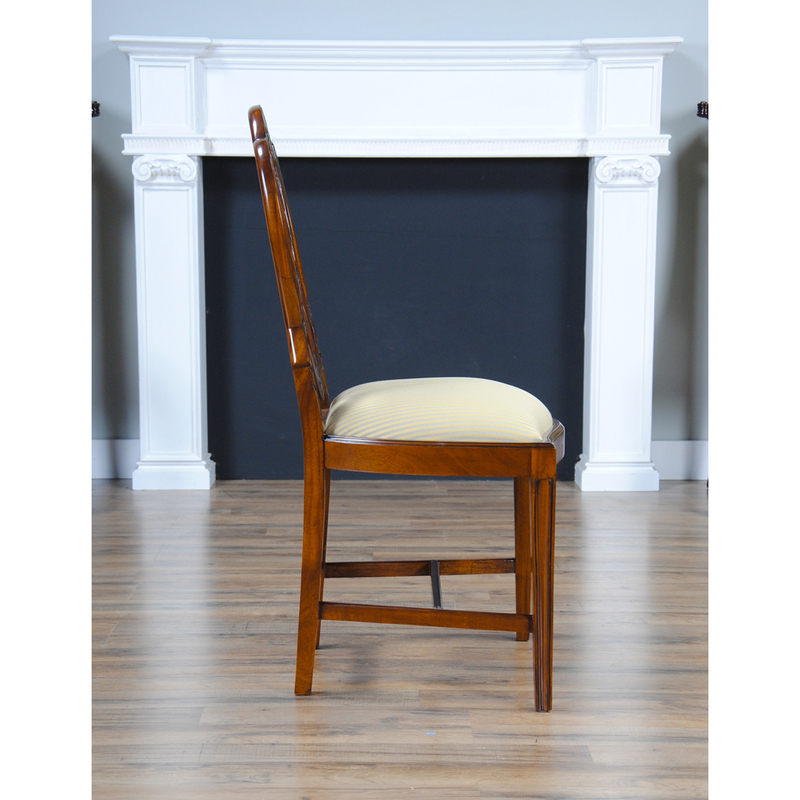 The seat measures 21 inches high providing a practical and comfortable height while at the dining table.